AME fees is around 4 lakhs to 6 lakhs depends upon the AME institutes. AME fees include many facilities by the institutes such as admission fees, caution fees, books and uniform fees etc. The fees can be paid semester wise. There is option of bank loan also. The AME fees in India are high for NRI students. The total amount of AME Fee in India for NRI students is around USD 20000 to 25000. 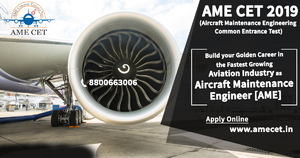 For more info visit ame cet official website www.amecet.in or contact us 8800663006.